This is an amalgamation of several recipes I looked at. I couldn’t find what I wanted, so I created this. I was looking for something that was sinteringly hot, yet was something delicious. 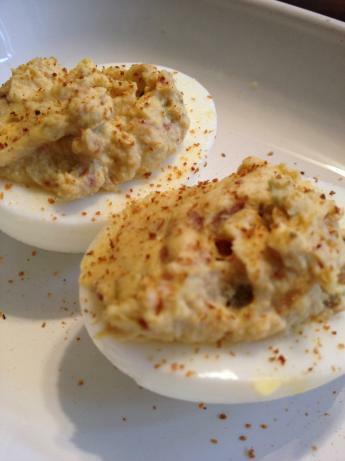 I love deviled eggs.